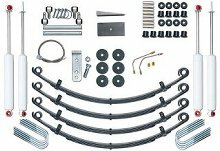 Rubicon’s top of the line 2.5-inch suspension for the YJ Wrangler maintains the stock leaf spring concept. 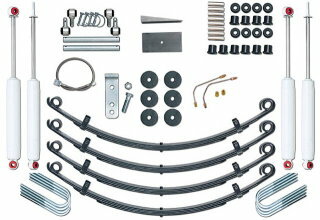 The complete kit includes new shocks and springs, plus all other necessary components. The 2.5-inch kit clears 31x12.50" tires.